With the present trend of following the ‘green revolution’, there is a dire need of complying with our individual and business level opportunities. While the oceans are choking, the landfills are gradually becoming full. As per a latest report, Americans are throwing off 250 million tons of waste every year, which is something that is way more than any other country in the world. Keeping that in mind, it is never too late to make things better. Whenever you run a green business, you become instrumental in leading to some kind of positive change. Besides the extremely good impact on the environment, adopting a green approach is definitely good for the profit of the business as well. So, without discussing further, let’s take a quick look at the smart ways in which businesses should adopt an environment-friendly approach. Only in the US, there are 4 million disposable pens which are thrown off regularly. This is only the statistics of pens. How about stocking your office with reusable pens which can get their inks refilled? The process of refilling makes it easier to track your pens rather than replacing them or losing them. Moreover, they are cheaper over the long term. If you wish to get a better picture of the amount your business throws out, you could go for an audit. You should also be aware of what you can recycle so that you can take a worthy decision. We can’t deny the fact that the entire nation has entered into a totally digital era. Despite that, the usage of paper is nothing but inevitable, especially when you send letters and mails which need envelopes. You could adopt a green approach and switch to the eco-friendly envelopes which are reusable. When you use reusable envelopes, they reduce costs on buying envelopes and also do away with the need of replying separately through envelopes. This way you can curb warehouse needs, operating costs and also reduce waste. 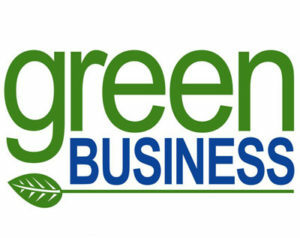 One of the best ways in which you can make your business eco-friendly is by practicing green procurement. Review the policies of procurement while you watch out for suppliers and select only those services and products which have been produced sustainably and which don’t require added packaging. Your supplies shouldn’t contain things which are harmful and toxic to the environment, which can be made from recyclable materials. Running several servers in the US is similar to running different nuclear power plants. This damages the environment in a big way. Servers need to be run always and hence it is the website of a company which continues to drain the environmental resources of the nation. If you adopt green web hosting, you can make sure that a certain portion of the energy is derived from power source that’s renewable. Moreover, green hosting is also affordable at the same time. The hosting company has saved money by selecting its own energy. Increasingly large numbers of businesses are adapting the renewable energy trend in a huge way as they start feeling the effect of the climate crisis. You can think of powering your office with alternative energy which generates from sources of renewable energy like solar power, wind, hydropower, geothermal and plant matter. National Energy Renewable Laboratory says that the sales of green electricity increased by 6% in 2016 and is all set to increase in the near future. Therefore, if you’re thinking of bringing about those incremental changes to your business, take into account the above mentioned points.